Obituary for Glenda I. 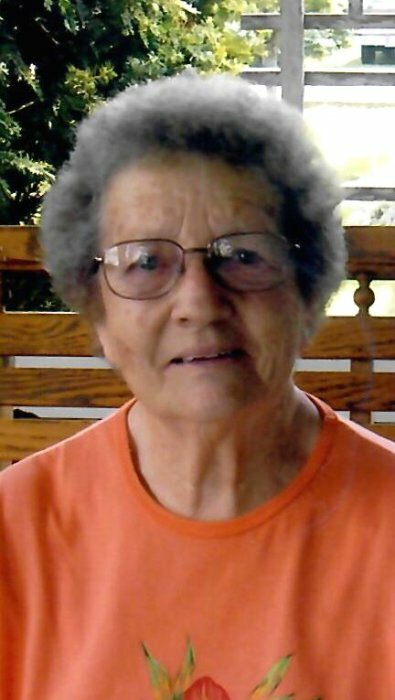 "Punkie" (Ludwig) Bollinger | McCombs Funeral Home Inc.
Glenda I. “Punkie” Bollinger, 92, of Jackson, died Saturday, August 25, 2018, at Jackson Manor Nursing Home in Jackson. She was born August 25, 1926, near Oak Ridge, Missouri, to John H. and Lydia A. Wedekind Ludwig. She and John W. “Bill” Bollinger were married January 19, 1946. Three children were born to their union, and they had been married 63 years when Bill passed away February 11, 2009. Glenda was raised in the Oak Ridge area and was a 1943 graduate of Jackson High School. She worked at the former Litz Poultry Plant in Jackson, the former shoe factory in Cape Girardeau, briefly at the former Cousin Fred’s in Cape Girardeau, and 16 years in Scott City as a letter carrier for the U.S. Postal Service, retiring in 1986. She was a lifelong member of Emanuel United Church of Christ in Jackson. Loving survivors include three children, Connie (Stephen) Wright of Jackson, David (Linda) Bollinger of Burfordville, Mark (Lisa) Bollinger of Glen Allen, Missouri; two siblings, Jonell (the late Jim) McNeely of Jackson, Terry (Dorothy “Dottie”) Ludwig of Cape Girardeau; nine grandchildren; and ten great-grandchildren. She was preceded in death by her husband; parents; a sister, Maxine (Elmer) Southard; and a young sister, Marjean Ludwig. Visitation is from 4 to 8 p.m., Wednesday, August 29, 2018, at McCombs Funeral Home and Cremation Center in Jackson. The funeral is at 11 a.m., Thursday, August 30, 2018, at the funeral home, with the Rev. Joe Rowley and Sam Roethemeyer officiating. Burial will follow at Russell Heights Cemetery in Jackson. The family appreciates memorial contributions to Emanuel United Church of Christ in Jackson.